A rice cooker isn’t just for cooking rice anymore! This appliance can save your day by making every ones favorite, “mac and cheese”. I have yet to find a kiddo that will turn down mac and cheese for lunch and it is an easy thing for Mom to fix. Get out your rice cooker, and assemble the ingredients needed and we will get started making mac and cheese in rice cooker. You are going to need some pasta and you can use your favorite style. It can be elbow, shell, bow ties or even the little spiral guys. 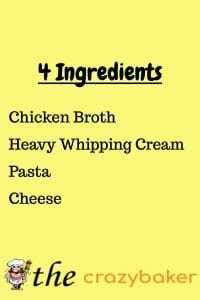 Have a carton of chicken broth, salt and pepper, heavy whipping cream, a mixture of your favorite kinds of cheese. I would suggest getting your children in on this project and in time they can make their own after school snack. Kids can get real inventive with their cooking and by using the rice cooker properly, they will come up with some additives you would never think of. The first thing you want to do is to turn your rice cooker on to the highest level. For the bigger rice cookers, this would be the level that you would cook brown rice on. Set the temperature and get ready to add your liquid first. You will want to add about the same amount of liquid as you do dry pasta. Let’s start with putting 1 cup of chicken broth in the cooker with 1/2 cup of heavy cream and then adding 1 1/2 cups of your favorite style of pasta. Stir those three ingredients around and add your salt and pepper. I personally like to add a couple tablespoons of sour cream also, but it is just as good without the sour cream. Turn your cooker on for 20-25 minutes and then sit back and relax for awhile. Don’t worry about running out of liquid and burning anything. Don’t ask me how, but this appliance knows when there is no liquid in the pot and it turns off! This is a great feature for rice cookers. After your 20 minutes are up, and you like the consistency of the pasta, it is time to add the cheese. This is where you can get real inventive. If you like your mac and cheese mild, just add a cup of mild cheddar to the pasta and stir it around again until all the pasta is covered. If you like a little kick to your dish, add some pepper jack and sharp cheddar, maybe throw in a couple table spoons of blue cheese. 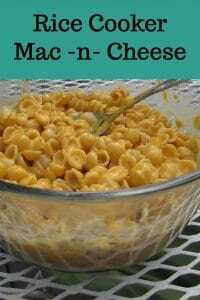 You can also add more cheese if you like your mac and cheese ulta creamy. After stirring for over a minute, close the lid on the small rice cooker and let it cook for another 10-15 minutes. Always be careful opening the rice cooker as steam will escape and you don’t want your face right over top of the cooker. Well, now wasn’t that easy? I’m sure you will find some ways to jazz up your mac and cheese and who knows, you may just invent the next best new recipe for mac and cheese in rice cooker. Have fun with this!